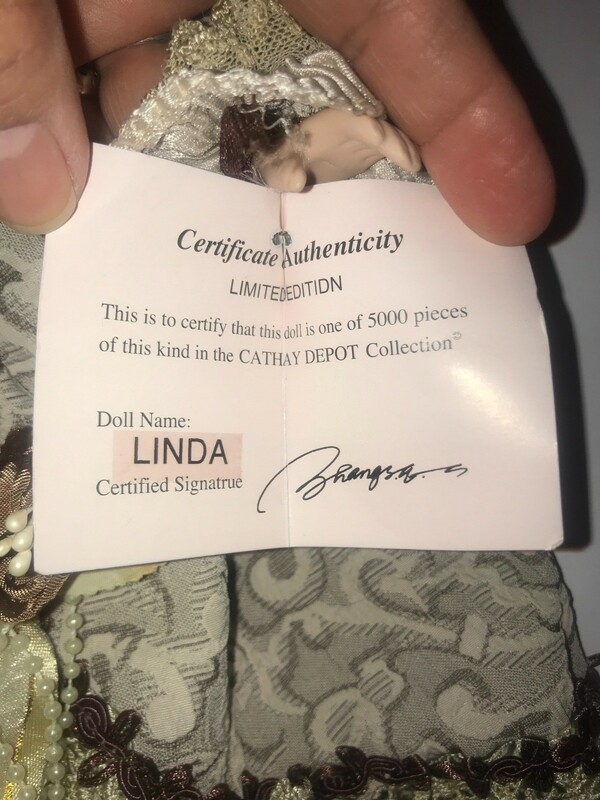 I have a Cathay Depot collection doll 1-5000 with the name Linda on the tag. What is it worth? Please let me know, before I give it to my grandbaby. 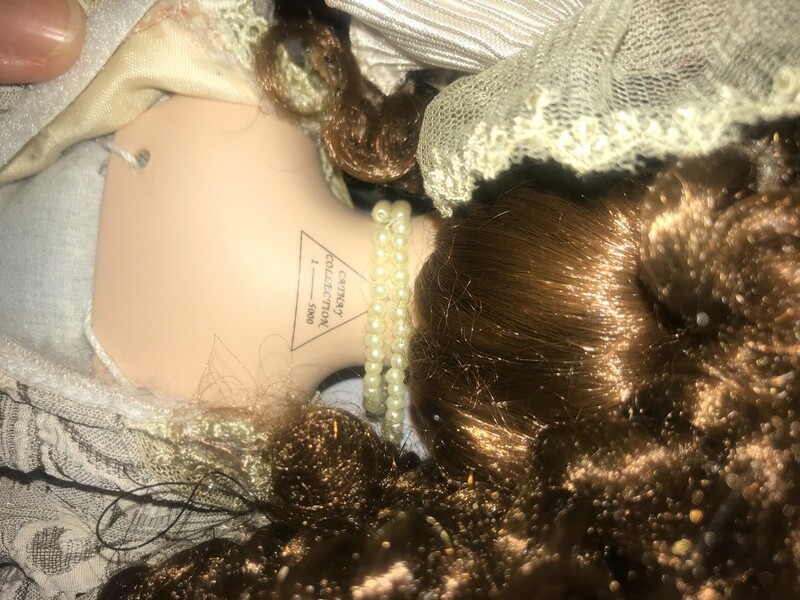 This is one of 5000 dolls. It is considered mass-produced and is only worth $25 at best. Thank you Judy, for taking the time to answer my question. My grandbaby will enjoy it. 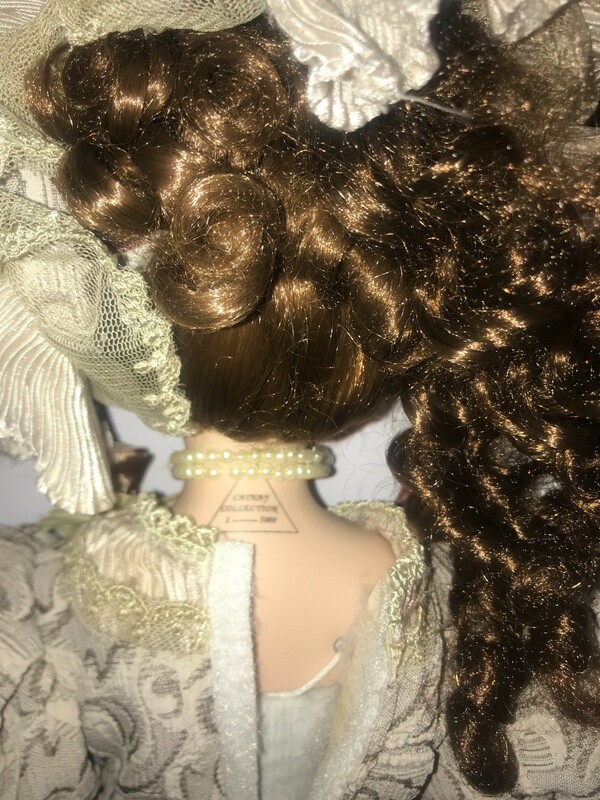 I love this doll, she is so pretty. I have found many of these dolls going for around $15.00 on ebay. They are extremely beautiful. 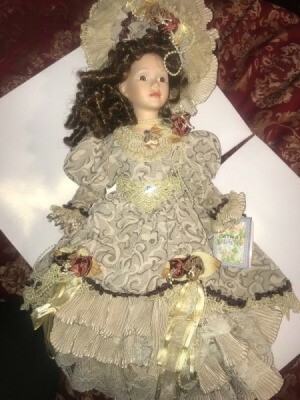 I would actually sell this doll for $25.00 because she is in such good shape. She would probably be loved by anyone who you gave it to, as well. Thank you Robyn. This is a very pretty doll indeed. No one has enjoyed her yet. 25 dollars is still a lot of money for a doll. It was a gift to me. There are lots of Cathay Depot dolls unsold on eBay for as low as $1.00. I was not able to find one named Linda, but there are many that are the sweet Victorian lookalikes, that sadly are unsold because the company made so very many dolls back in the day. 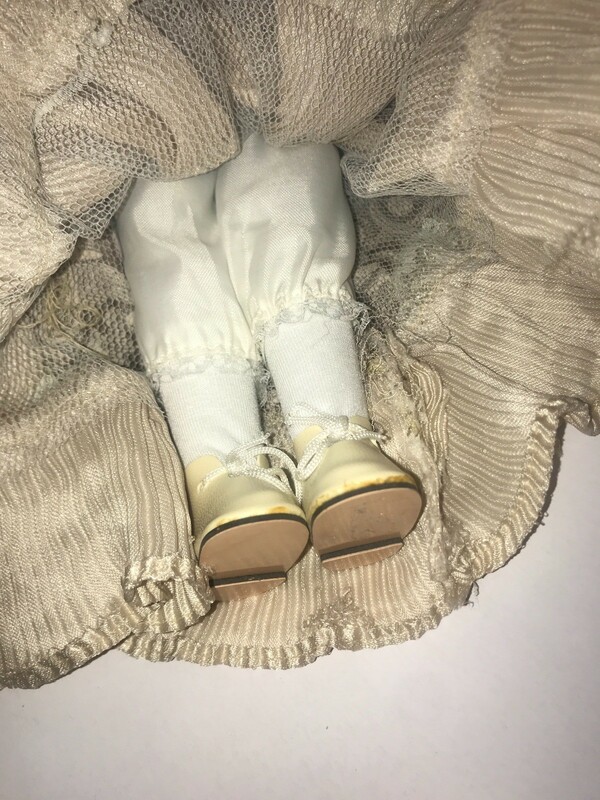 Dolls were meant to be loved, so I encourage you to share her with your grandbaby!! That is awesome!!! Best wishes to all! !